Local residents mill about the street in front of Abdurehim Damaolla’s house in Turpan city on Aug. 16, 2013 on the morning after he was stabbed to death. A Uyghur Muslim religious leader in China’s restive western Xinjiang region has been stabbed to death after calling members of his ethnic minority community involved in June violence “terrorists” and backing a government crackdown against them, residents and officials said. Authorities have deployed extra police and security forces following Wednesday night’s attack on the imam in Turpan city, which comes after a slew of deadly clashes in the Muslim Uyghur region in recent months, including deadly June 26 clashes in Lukchun township also in Turpan prefecture. Abdurehim Damaolla, 74, deputy chairman of Turpan city’s government-affiliated Islamic Association and linked to a powerful national political advisory body, was stabbed in front of his home after returning home from leading evening prayers at Kazihan Mosque, according to local residents and officials. Police have apprehended two suspects in the killing and are searching for a third, according to officials at the city’s United Front Work Department, an agency under the command of the Central Committee of the ruling Chinese Communist Party. Police have not issued a report or made any announcement about the assassination of the Abdurehim Damaolla, the officials said, but had told them that three men were involved in the incident. One Turpan resident told RFA’s Uyghur Service that Abdurehim Damaolla had likely been targeted by his attackers because he had helped police apprehend suspects wanted in connection with the Lukchun violence. The imam had given police “key information” about their whereabouts while they were hiding in Turpan that had led to their arrest, the source said, speaking on condition of anonymity. “He was a pro-state and pro-party senior religious figure in our city,” Alim Ablimit, a United Front Work Department official in charge of religious affairs in the district where the Kazihan Mosque is located. “He was targeted simply because of his firm stance against the ‘three forces,’” he said, referring to the “three evils” of separatism, extremism, and terrorism that the Xinjiang government has vowed to crack down on. Chinese authorities blame outbreaks of violence in the region on Uyghur “terrorists,” but rights groups and experts say Beijing exaggerates the terrorism threat to take the heat off domestic policies that cause unrest or to justify the authorities’ use of force against Uyghurs. Abdurehim Damaolla had angered some members of the local community by referring to those involved in the Lukchun violence as “terrorists,” according to Alim Ablimit. Chinese authorities said 35 people were killed in the violence in a predominantly Uyghur township but officials and residents said the death toll was at least 46. 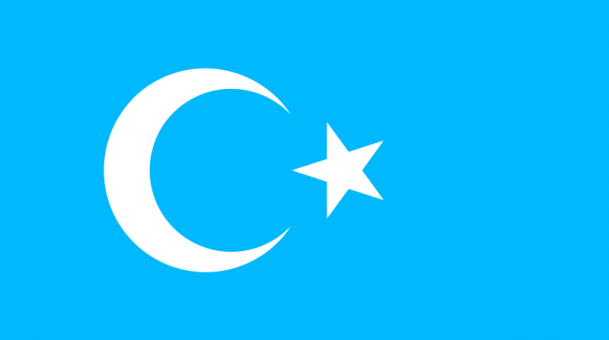 Uyghurs in Turpan were also angry that the imam had advocated a government-introduced policy discouraging Uyghurs from wearing beards or headscarves as part of curbs on traditional and Islamic dress, Alim Sattar, another United Front Work Department official said. The city had stepped up political education propaganda efforts, including strict enforcement of policies discouraging beards and headscarves in the wake of the Lukchun unrest, he said. Abdurehim Damaolla had taken on a strong role in such efforts and received warnings from unknown persons and had been involved in disputes with those who disagreed with his toeing the party line. “Just two weeks ago he was in a dispute with some young guys who were disappointed with his praising CPP policies at a funeral ceremony,” Alim Ablimit said. “The youths’ anger was only stopped [from boiling over] that day because of the police’s warnings and intervention in the dispute,” he said. Last month officials had had to cancel one public meeting on the beards and headscarves policy planned at the Kazihan Mosque “out of concern for Abdurehim Damaolla’s safety” after he received warnings from unknown persons not to speak there, Alim Sattar said. Abdurehim Damaolla, who had eight children, was known as an outspoken imam who was experienced in defusing conflicts, according to Alim Sattar. Three years ago, he had prevented a riot in nearby Chatqal village where tensions were running high after 25 people died in a dynamite explosion linked to official negligence, Ablim Sattar said. His death follows a slew of violence across Xinjiang that over the past two months has left about 70 dead, including the Lukchun incident, the worst in the region since July 5, 2009 ethnic unrest in the capital Urumqi triggered a massive crackdown. 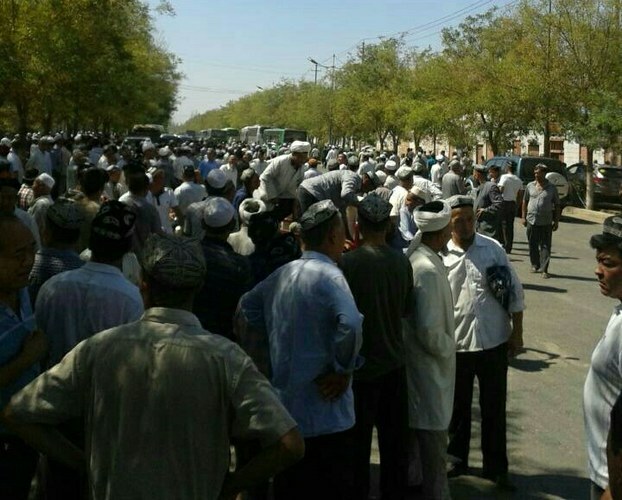 Last week, at least three Uyghurs were killed in Aksu prefecture’s Aykol town when security forces opened fire at a crowd trying to stop police from arresting suspects outside a mosque on the eve of the Eid al-Fitr festival. Reported by Shohret Hoshur for RFA’s Uyghur Service. Translated by Shohret Hoshur. Written in English by Rachel Vandenbrink.